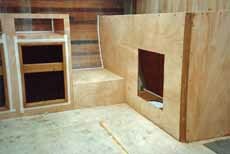 Knowing how to build a sailboat is one thing, but do you know how to build a shed? 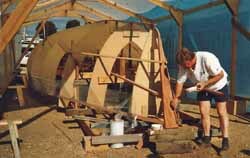 Not having access to a large enough building, constructing a temporary construction shed was the first thing we had to do when we set out to build Alacazam, our 'ideal' offshore cruising sailboat. As a custom-designed one-off sailboat, Alacazam had been designed specifically to meet our requirements for long distance sailing, and living aboard for extended periods. 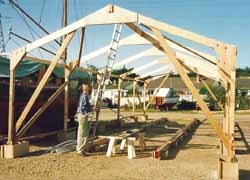 We won't dwell too long on the shed construction; suffice to say that the uprights were made of 4" by 4" (100mm x 100mm) timber, the trusses of 6" by 1" (150mm x 25mm), the ridge beam of 6" x 2" (150mm x 50mm) and the gusset plates cut from half inch (12mm) ply. Diagonal wind bracing was incorporated in the ends of the structure to prevent the whole shebang from collapsing in the first stiff breeze. 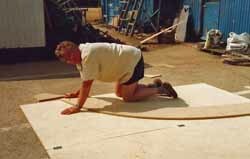 Rather than concreting the uprights in pits we built plywood boxes around the bases of the uprights and drove steel pins down into the ground within the boxes. Finally we clad it in heavy duty reinforced polythene sheeting, with roll-up 'doors' at each end. 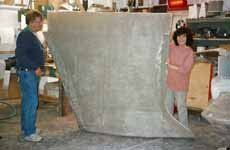 This is the rigid structure supporting the temporary frames upon which Alacazam's hull would be built. 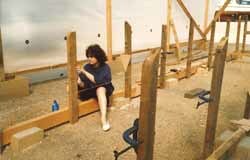 The longitudinal timbers were 8" x 4" (200mm x 100mm) timbers held in place by the same concrete block and steel pin technique that we used for the shed. Before fixing the frames, the centreline was marked on all the horizontal crosspieces using a theodolite, and a horizontal plane on all the uprights with an engineers' level. Great care had been taken to ensure the uprights were truly vertical and spaced at 1m intervals - and you'll see why this is so important very soon. 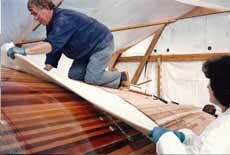 Alacazam's designer, Andrew Simpson - a man who knows exactly how to build a sailboat, having designed and built several others before this one - developed the hull lines and hydrostats with Vacanti's 'Prolines' design software and created the construction drawings with 'AutoCad'. This package generated coordinates at various cross-sections at 1m intervals (stations) along the length of the hull, and enabled us to mark out full-size templates for the temporary frames on sheets of chipboard. Making due allowance for the hull thickness, we cut out the templates with a jigsaw and assembled them - glued and screwed - into full-size frames. Both the centreline and the design waterline were marked on each one, along with the station reference number. The next stage was to fix the temporary frames to the stillage uprights, preferably in the correct order. 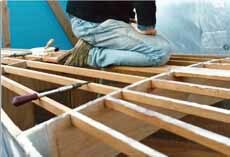 The frames were aligned with the centreline marked on the horizontal crosspieces, and levelled such that the marked waterline was a fixed distance from the horizontal plane marked on the uprights. 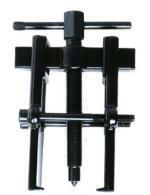 Every frame was checked and double-checked for level and alignment before being fixed firmly in position. 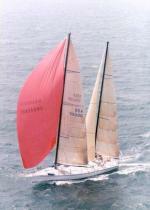 The stem was fashioned from a section of solid mahogany, to which the forestay chainplate would be bolted. 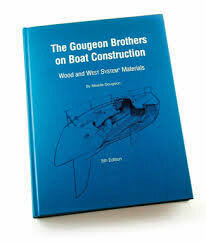 This would eventually have a shaped section of mahogany bonded to it, forming the bow and which would offer some protection to the chainplate in the event of collision. It was to a degree sacrificial in the event of a coming together, but hopefully it wouldn't come to that. Now we could see what Alacazam's hull with its pronounced tumblehome would really look like, albeit the wrong way up. What's tumblehome? 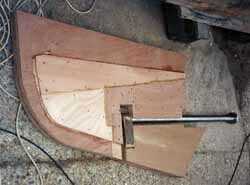 It's the section of the hull which curves upward and inward towards the centreline. 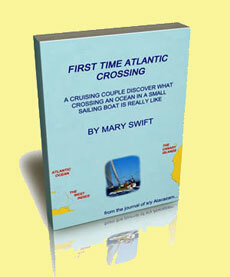 The shed together with the mysterious goings-on inside created a great a deal of interest in the boatyard. 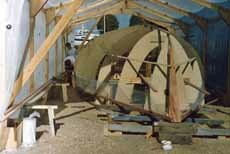 Several curious passersby couldn't resist a peep inside, one of which was kind enough to point out that "it wasn't a good idea to build a boat with chipboard", referring to the temporary frames around which Alacazam's hull was to be built.